We are always excited to see diversity when it comes to the female form. These images by photographer Howard Schatz, from his book Athlete, serve as a reminder that there is much to celebrate when it comes to women’s bodies. Produced alongside his wife and editor Beverly Ornstein back in 2002, Athlete provides an unprecedented look at the wide variety of body shapes and sizes that can make an Olympic athlete. The photos have recently resurfaced on the web and with good reason. 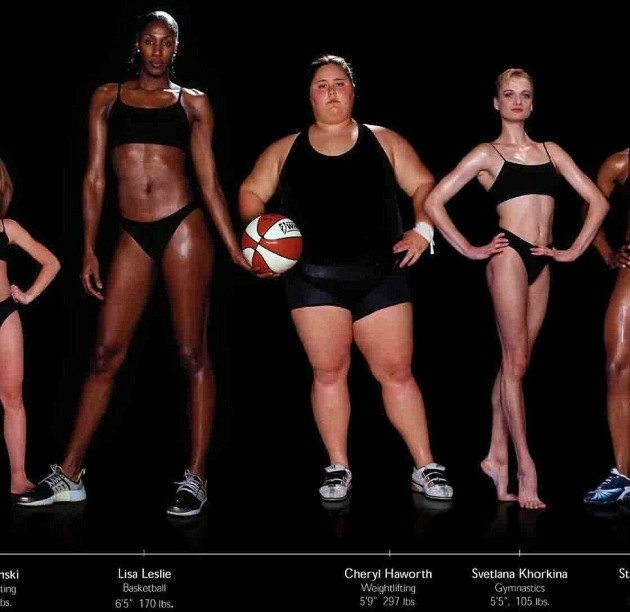 Given the usual images of sexualized and objectified women in advertising and mainstream media that we are force-fed, Athlete is a refreshing point of view that makes us realize how unique and beautiful all body types are, and can be. At their peak of physical fitness, these women defy traditional beauty standards, making us wish we didn’t have to go back more than ten years to find images that showcase our strength and abilities. In addition to the female images, Schatz also captured male athletes, which are equally as compelling. You can check them out here.